Mission Statement: To minimize loss of life and property for the City of Le Center from fires, natural disasters, life threatening situations and to assist other emergency agencies. To perform these services in an efficient manner by maintaining effective fire prevention, emergency response, fire suppression and training. The Le Center Fire Department was established in 1897. We are a non-profit organization, owned and operated by the City of Le Center and supported by tax dollars by all residents of the service area. Additional funds come from fees & donations. The department provides fire suppression, heavy and tactical rescue, and medical first response, along with fire prevention, public education, fire inspection and pre-plan programs for our fire protection area. 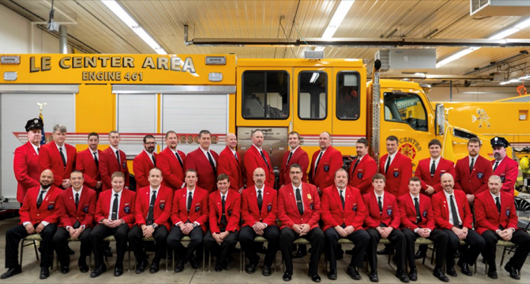 Welcome to the Volunteer City of Le Center Fire Department web page. The personnel consists of 25 paid on-call firefighters. 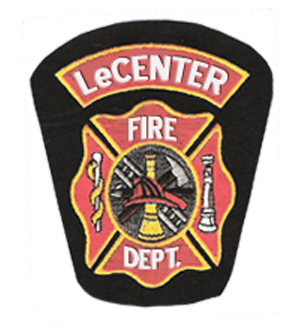 The Le Center Fire Department operates out of one fire station. We protect our community and rural Le Center with two Tankers and one Pick up/Grass Rig. The department provides fire suppression, heavy and tactical rescue, and medical first response, along with fire prevention, public education, fire inspection and pre-plan programs for our fire protection area..
Every year in America, over 4000 people die and more than 20,000 are injured in fires. Statistically, that may not sound like very many, but if you've ever met a burn victim, you know that you want to do everything in your power to make your home safe, and prevent the possibility of a fire. Sadly, around 80% of fire deaths occur in homes. What's even sadder is that most of these deaths and injuries could have been prevented, with a few simple safety measures. To keep your family safe from the risks of fire, you'll need to concentrate on four areas: education, prevention, detection, and response. You'll need to educate yourself and other family members on the fire hazards, you'll need to take specific steps to remove fire hazards from your home, you'll need to install and maintain smoke detectors, and you'll need to plan ahead on how to react in case of a fire, so that if the worst happens, you're prepared, and no one is injured or killed. If you cover all four of these bases, you'll greatly reduce your family's fire risk. Many of these fire safety tips are common sense, and you've no doubt thought of and implemented some of them. Others may have slipped your notice, or you possibly were never aware of them. The good news is that most of them cost nothing, are easy to do, and don't take much time. A lot of fire prevention lies in simply adopting some simple practices, and making them habits for your whole family. Of course, there may be some things specific to your situation that aren't covered here. It's unlikely, but it's possible. In that case, if you're worried about something in your home that we didn't mention, err on the side of caution. If you think something might be a fire risk, then change it, or do it differently, whatever the situation requires. You know your home better than anyone. So, if in doubt, it's better to be safe than sorry. 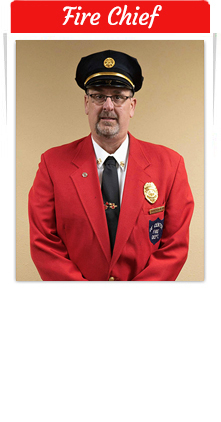 Never was the cliché "an ounce of prevention is worth a pound of cure" as true as it is when it comes to fire safety.